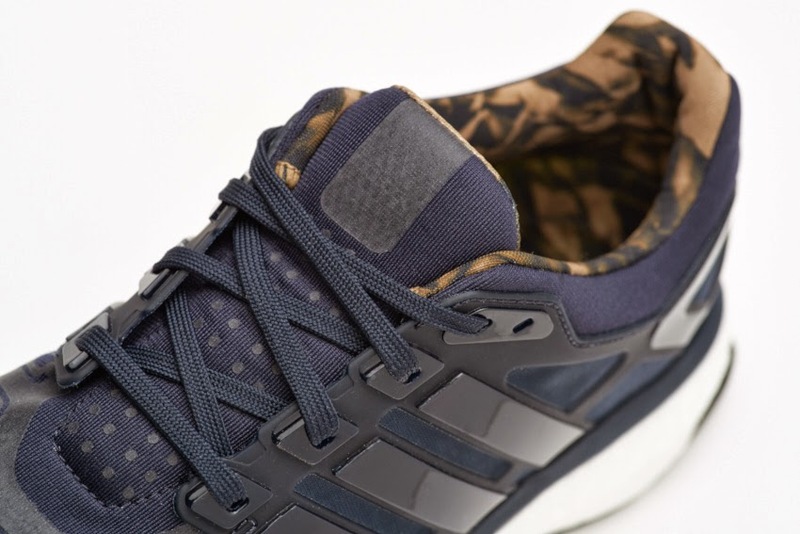 The adidas Consortium +o– Collection is a capsule of technical garments for life in the city. 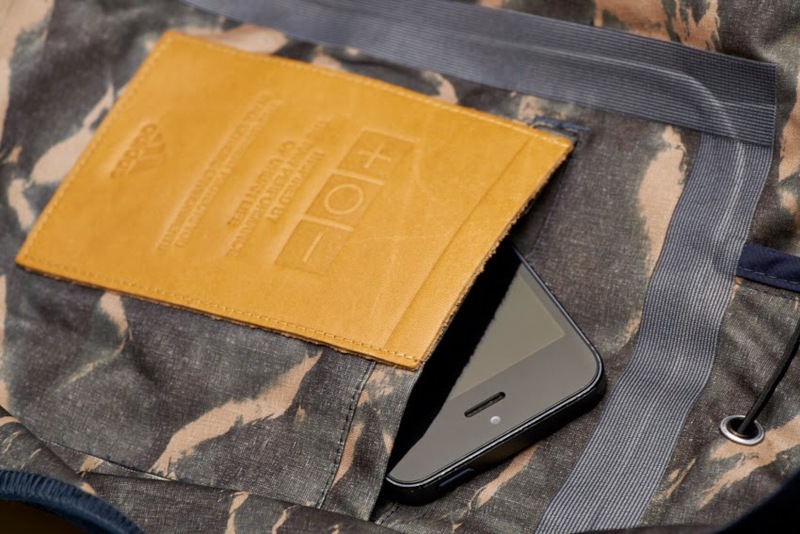 The clothing is developed function-first, with urban exploration as its key motivation. 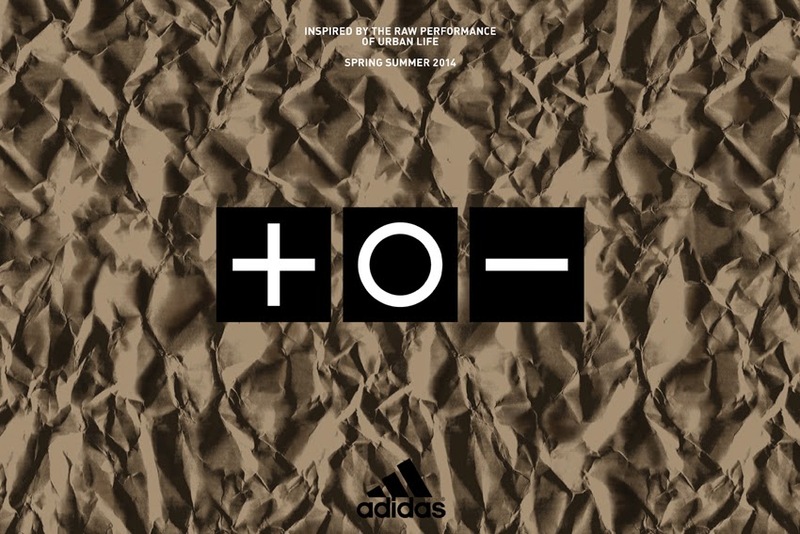 The adidas Consortium +o- Survival Jacket. Available in Navy. This jacket is designed for maximized protection and durability and is constructed with a 3-layer fabric. 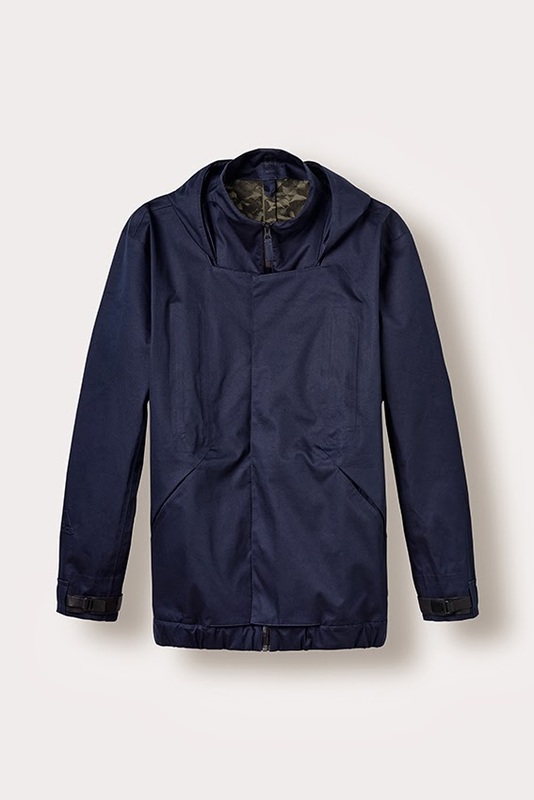 The material is made with a storm-finished soft cotton outer shell bonded to a moisture-wicking membrane, which allows the garment to be both water-resistant and breathable. 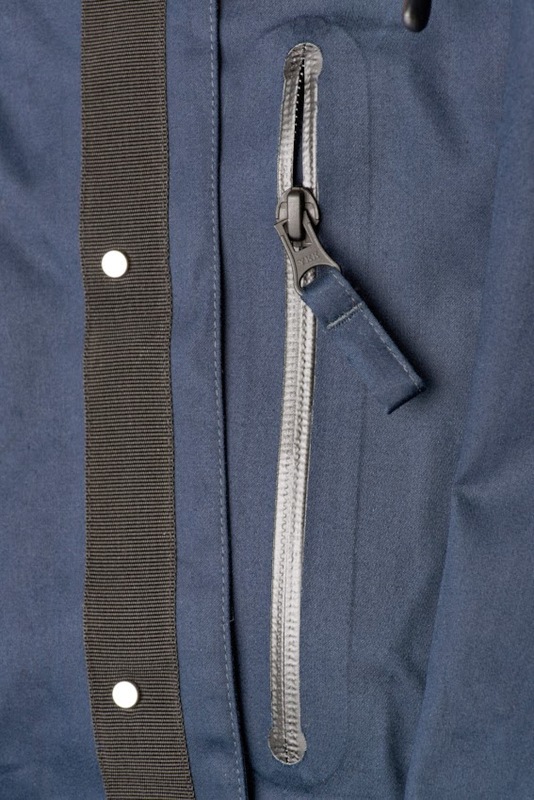 The outer layer of the jacket is woven with a satin technique, which deepens the rich navy color and provides a unique tactile experience. 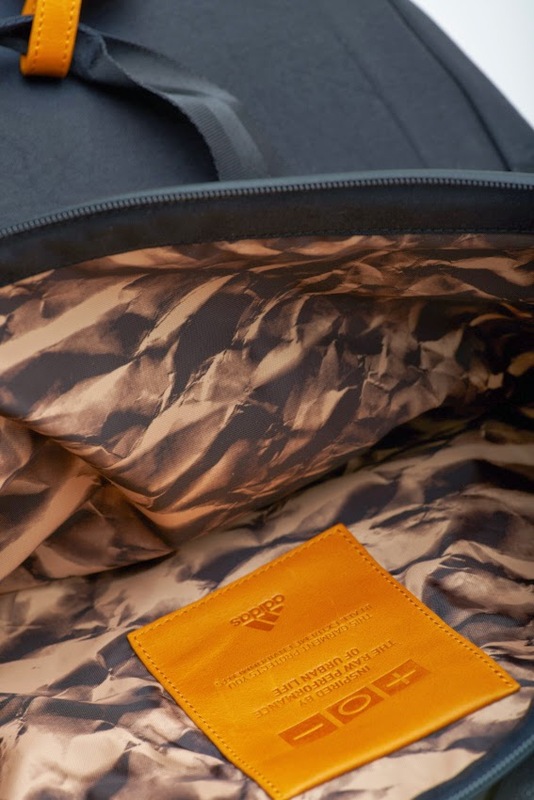 The premium fabrics used to develop this piece make for comfortable wear in variable urban climates, and the design features protect against the elements. 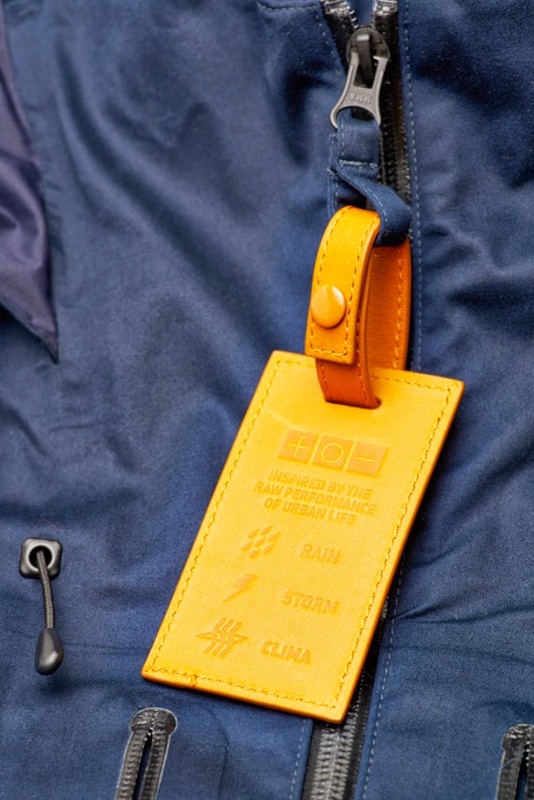 Double storm flaps with invisible snap buttons protect the wearer from wind while providing easy access to hood drawstrings and tape-sealed zip pockets. 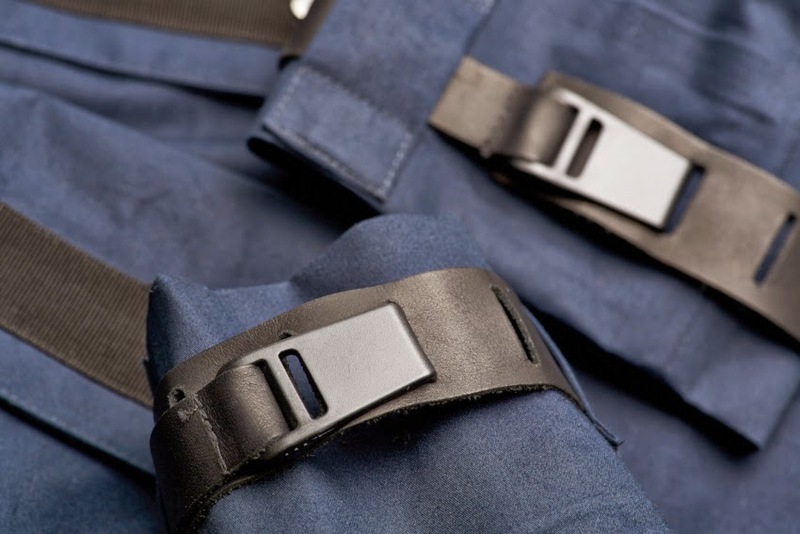 A second set of outer pockets feature reverse entry to prevent valuables from falling out while seated, and long taped side vents allow for micro adjustments as weather conditions change. 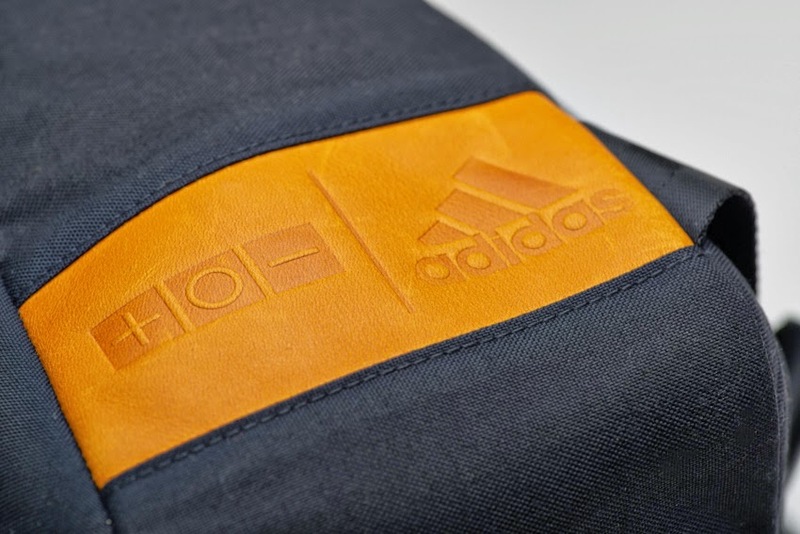 The adidas Consortium +o- Survival Tote Bag. Available in Black. 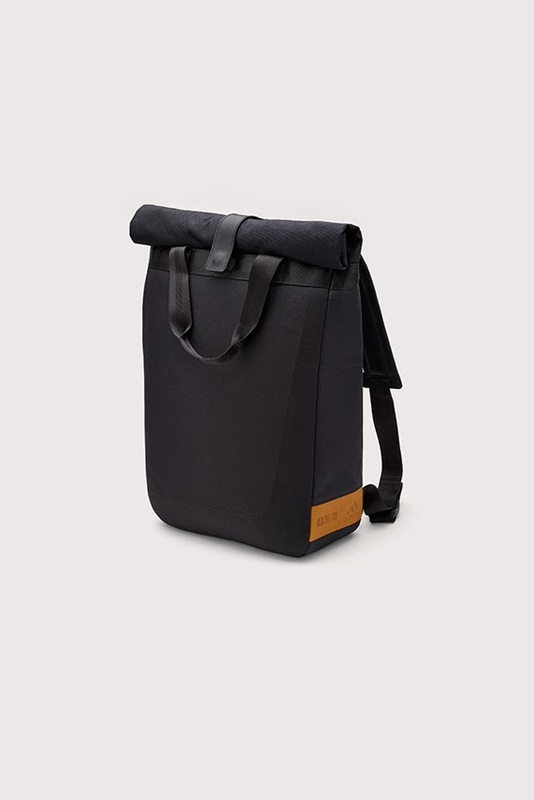 This backpack/tote hybrid bag is designed for freedom of use. 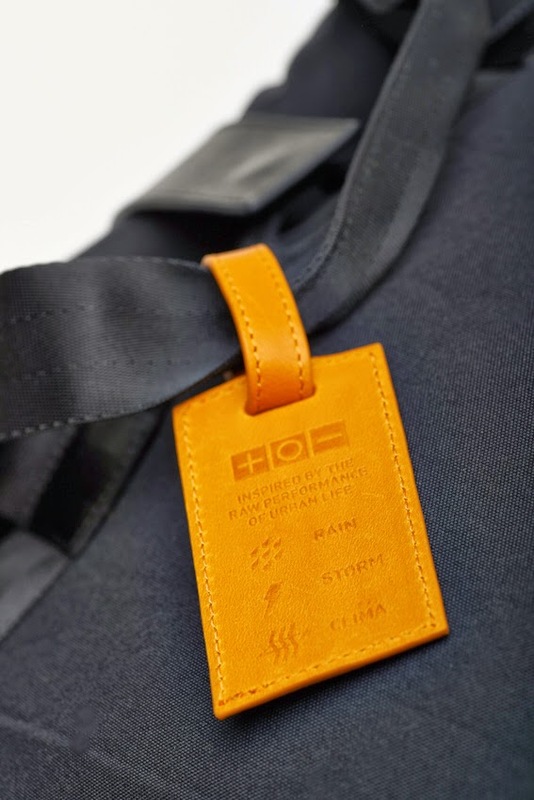 The premium leather straps can be worn over the shoulder during activity, and can be tightened to stay flat when the pack is carried as a tote on public transit or onto an elevator. 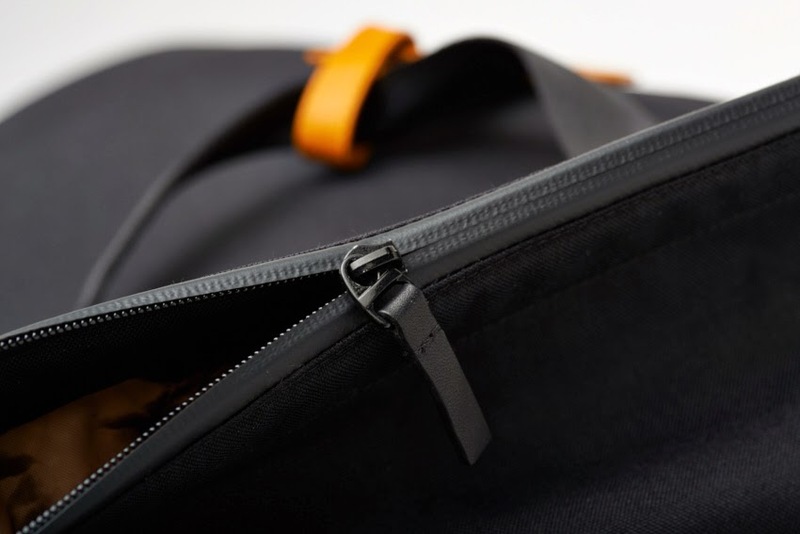 A taped zip-top entry ensures protection from the elements, and interior pockets and compartments keep a laptop computer and valuables separated from other personal items. 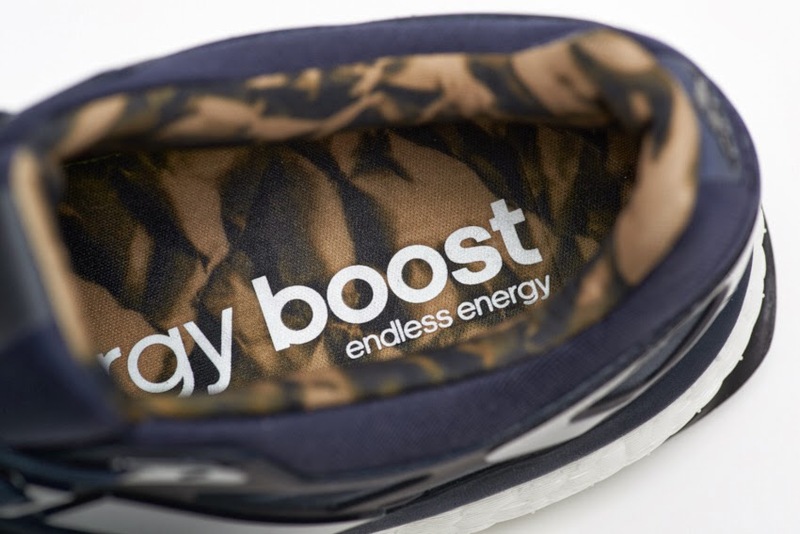 The adidas Consortium +o- Energy Boost. Available in Dark Navy. 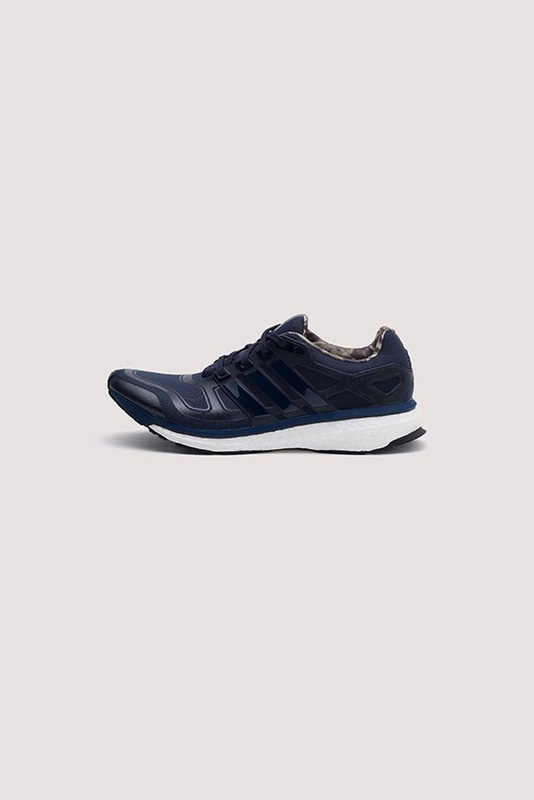 The +o– interpretation of the adidas Energy Boost combines the materials and color palettes of the clothing collection with adidas’ most technically advanced and comfortable midsole. 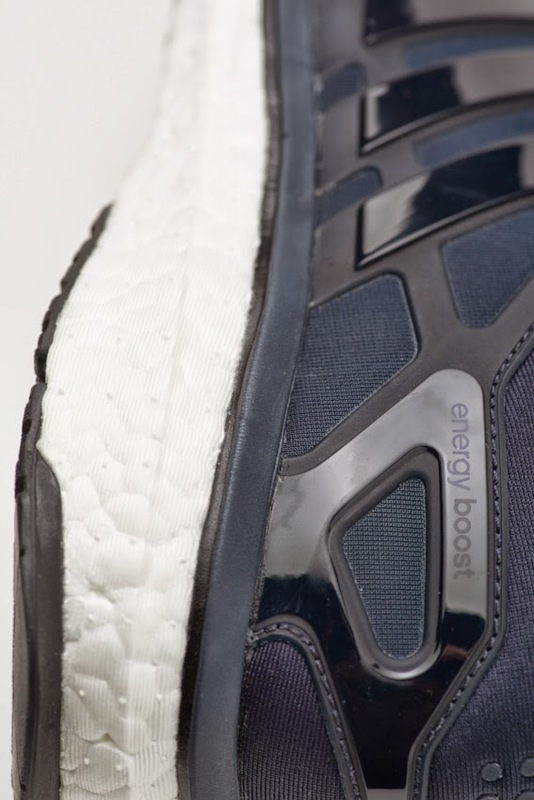 adidas BOOST™ foam features unique energy capsules that maximize energy return from each foot strike. 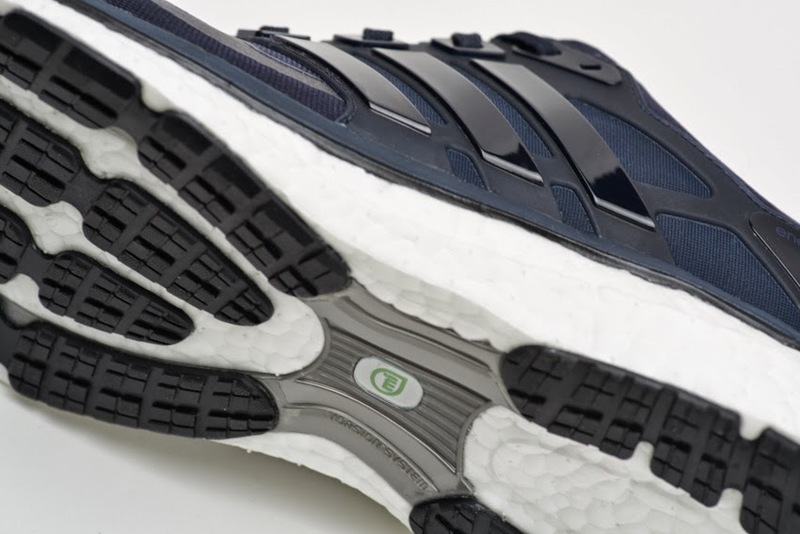 BOOST™foam never wears out and is temperature independent, so the shoe will remain comfortable and technically effective in wet spring, hot summer, and cold winter seasons.